Legal disputes are a natural part of being in business. No one wants a lawsuit. And in most cases, everyone wants a lawsuit to end as quickly and cleanly as possible. Spend enough time in the business world, however, and it’s all but inevitable that your interests will eventually run counter to those of a partner, employer, employee, contractor, or someone else you do business with. 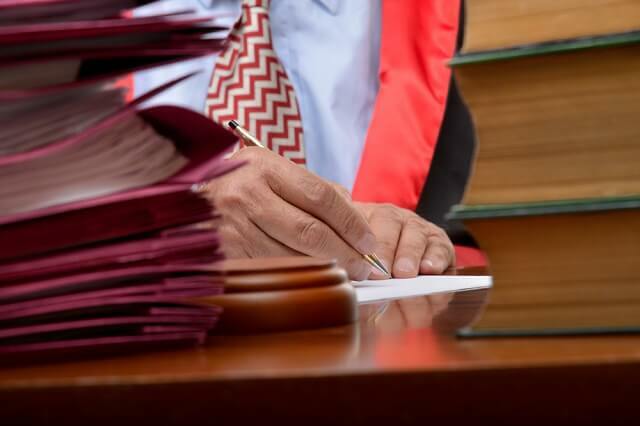 In some cases, filing a lawsuit (or defending against one) is your only practical recourse in the face of conflict, unfair dealings, breach of contract, or fraud. Of course, in any business litigation matter, the most important thing is ending the matter in a way that protects your business and shields you from personal liability. Business litigation isn’t about courtroom theatrics or elaborate litigation tactics that make the lawyer good but cost the client a fortune. And unlike lawsuits of a more personal nature (disputes between friends and family, for example), business litigation isn’t about having an axe to grind — though these cases may certainly involve a principle worth defending or a point worth making. Ultimately, business litigation is about protecting your best interests, achieving the best possible outcome, recouping money owed (or avoiding the loss of money not owed), and having the smallest possible impact on your bottom line. Accordingly, even in the most contentious business disputes, it makes sense to pursue an informal resolution first — that is, a private negotiation and settlement that spares both sides the time, hassle, and expense of a courtroom trial. Negotiating a settlement is almost always in everyone’s best interest. And for that reason, most business disputes are ultimately resolved by settlement. Of course, compromise only goes so far, and if it proves impossible to reach a fair and reasonable outcome without going to court, it’s important that you and your business retain legal counselors who are as adept at trial advocacy as they are at negotiation. At Oberheiden, P.C. we believe in litigating smarter, not harder, and that approach has helped us excel both inside and outside the courtroom. We’re absolutely dedicated to getting our clients the results they deserve — maximizing compensation, protecting business interests, and ending undesirable legal squabbles at every turn. Whether you need to prevent loss, recover property, protect your business interests or trade secrets, collect money damages, enforce a contract, or take any other legal action in connection with your business, the experienced business litigation attorneys at Oberheiden, P.C. can help. Whether as plaintiff or defendant, you look to our team for wise and strategic legal advice on these issues and others. Making strategic decisions now that head off legal disputes in the future. Companies can accomplish this through effective contract writing, putting smart company policy documents in place, properly training executives and employees, selective hiring, negotiation at the first sign of trouble, etc. An experienced business law attorney can help you anticipate litigation stumbling blocks and save your company from expensive legal entanglements in the future. Taking legal action when the time is right. In some cases, it is wise to wait and seek amicable resolution before engaging in formal litigation or even sending a demand letter. But in other cases, it might be imperative that your business take swift and decisive legal action to prevent further harm. In addition to monetary damages, you might be able to seek injunctive relief or specific contract performance by court order. This can be important in cases where a third party is actively harming the company by divulging proprietary information, engaging in prohibited competitive behavior, stealing assets, or engaging in fraud. Too often, businesses think about hiring a lawyer as a last resort. But so much of what we do as business law attorneys is in the arena of guidance and advice. Drawing on our many years of experience, we’re often able to give our clients the benefit of foresight and avoidance, saving them considerable costs in business litigation along the way. There is a general rule in the United States that the owners, members, managers, partners, or investors in a business are not personally liable for the debts or torts of that business (provided that it is organized as one of the entities afforded limited liability status under the law, such as a LLC, LLP, C-Corporation, S-Corporation, etc.). If you have significant personal assets, you can bet the other side will do everything it can to pierce the corporate veil and come after you individually. Unfortunately, the rules about when a court will and won’t pierce the veil are somewhat tenuous, and that leads to some unpredictability for business owners. As business law attorneys, we have successfully stopped these efforts in their tracks again and again, helping business owners escape personal liability in cases that could have crippled them financially. Get smart, proactive legal guidance on your side today. Whether you’re facing a legal problem now or want to head one off in the future, we can help. Connect with us today. Business Lawyers – Oberheiden, P.C.